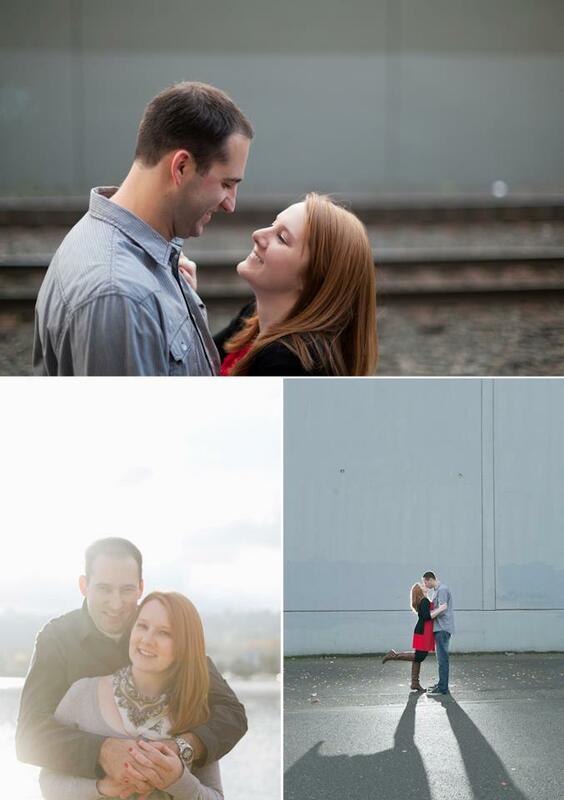 This past weekend Luke & I met up with Linnea to shoot our engagement photos. We got rained out on our first attempt last month - but this past Saturday the weather was a little chilly, but gorgeous! I'm so thankful Linnea was patient with us & let us reschedule. She's the very best! We took photos down on a dock off the eastbank esplanade with some gorgeous light behind us & then walked over to the railroad tracks & found some pretty brick buildings & fun colored walls. Linnea gave us a sneak peek the same day she took our photos - & I can't wait to see the rest! :) Click here to see some little souvenirs Linnea gave us from the shoot, too! Did you go to the PNW Blogger meetup? Love them! The last one is my favorite. Love the dress and boots. Like Like Like Like LOVE!! The look great! Can't wait to see more.